An exhibition of paper moths made by children from across the borough has gone on show in Merton Arts Space. The display opens ahead of the Attic Theatre Company’s stage adaptation of Charles Dickens’ classic novel Great Expectations, which is being performed at Merton Arts Space. 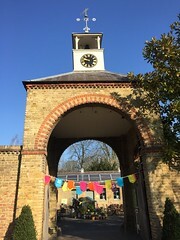 The borough’s newest arts venue has seen part of Wimbledon Library transformed into a creative space for musical and theatrical performances as well as exhibitions, whilst enhancing library space during normal opening hours. The display of moths is inspired by the ramshackle mansion which is the home of the character Miss Havisham in Great Expectations. 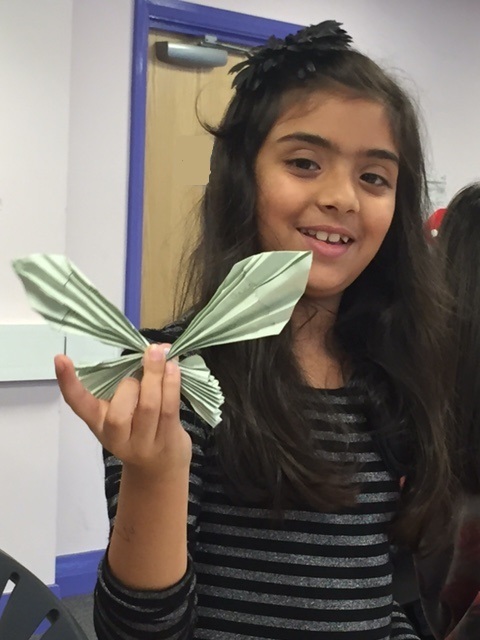 The origami moths were made during craft sessions held in libraries across the borough and at Gorringe Park Primary School in Sandy Lane, Mitcham and Bond Primary School in Bond Road, Mitcham. Children were asked to write words they associate with living in Victorian times or their own great expectations in the form of their hopes and aspirations for the future on a piece of paper. The sheet of paper was then carefully folded to resemble a moth. Merton Council’s Cabinet Member for Community and Culture, Councillor Nick Draper, said: “Merton Arts Space is a very versatile venue which is ideal for exhibitions as well as performances. It will soon be transformed into a Dickensian stage for an exciting new production of Great Expectations. Tickets for Great Expectations, which runs at Merton Arts Space between 30 November and 18 December, are now on sale at the desk in Wimbledon Library and on the Attic Theatre Company’s website.